Disembark and transfer to Seattle International Airport for your flight to Boston (flight not included in land only bookings. Book flight after 12.30pm). Day 32 - Lancaster – Washington D.C. 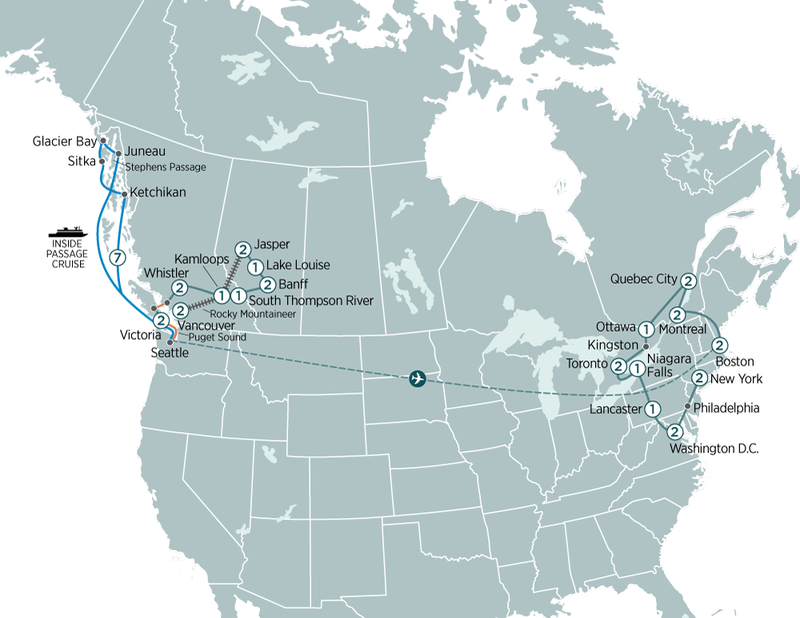 This 14 day Canadian Rockies tour will leave you amazed with a Rocky Mountaineer rail journey in GoldLeaf & a luxury Fairmont Chateau Lake Louise stay.